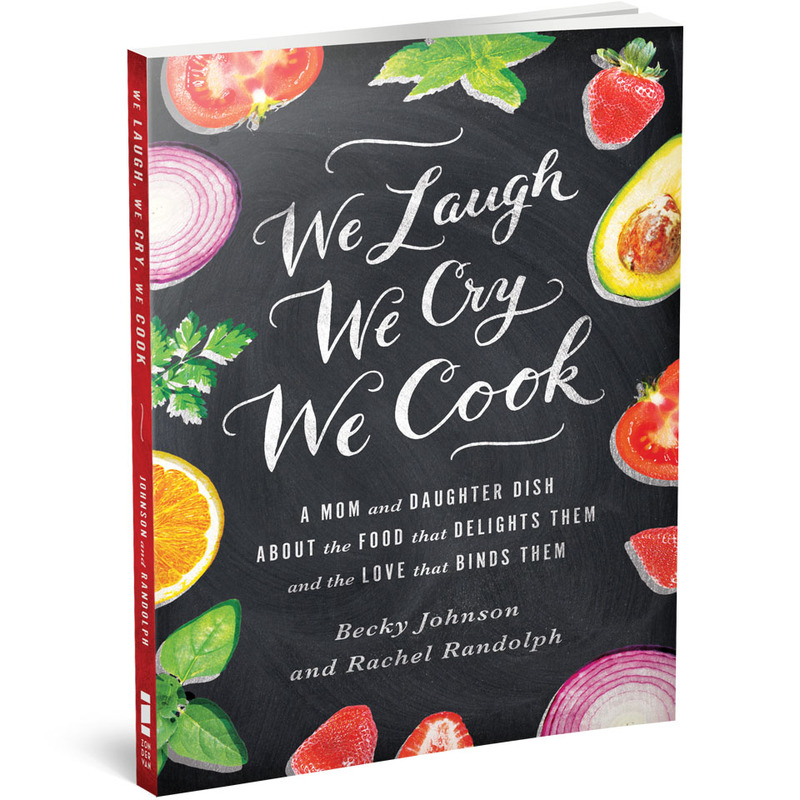 ← We Laugh, We Cry, We Cook: Happy Book Release Day! Wow…. that place looks amazing! It was! I just wish it was local to us! I have you on my Pintrest which has tons of recipes. Consider that I am like Miss Rhonda on technology….dangerous once I figure out how to do something other than “reply”. Duh!!! Love, love, LOVE your blog!! It is my go-to site for all things delicious. Since hubby is vegan (a year and a half now), your blog has helped me keep my sanity so I can find delicious, healthy, food that the entire family will eat. With daughters, ages 2 and 4, sometimes that is a challenge, but your recipes never fail me. THANK YOU!! Tracy, this almost brought me to tears. This is THE reason I wanted to do this blog and it makes me giddy to know we’ve helped your family of different dietary needs/choices put healthy dinner on the table. I really admire spouses who accommodate each other in this way. I know it’s a big hassle at times, but it really shows how much you love and honor each other. When an omni accommodates me, I’m so flattered that they thought enough of be to make sure I was included in meal time. And I try to do the same for omnis. Good for you! My Paleo minded daughter would love your great recipes. While I do too, I lean more to the butter loving mama ones! Kudos to you both and happy birthday Jackson! Lol! That’s why we do this together. Something for everyone! I’ved liked your page. Now I’m entering your giveaway. My page is Out One Ear. (outoneear.com) And happy, happy 2nd birthday Jackson. Your cupcakes and gelato looked awesome. My only regret? Not being there to help you celebrate and partaking in the yummy birthday treats. Thank you Linda! I’m browsing your blog. What a sweet story you and your daughter have. I appreciate your postings & the recipes you have for making allergy-free food. Thanks! Thank you so much Dorothy. Since my dietary limitations are totally by choice and it was still difficult at times, people who are forced to eat a certain way due to allergies have a special place in my heart! The good ol’ OG…my food foundation..well right after Carinos. You know how much I equally adore your cutie! Happy birthday Jackson from Tennessee! Ive liked your fb page I am listed under trampas n Trish (I’m trish) and as my birthday is coming soon, this would make a wonderful present to me! Sending you good birthday winner vibes…or at least very happy birthday wishes! I enjoy your recipes and stories! Oh Amy, you’ve been a fan from the very early days of our blog. I’m glad we haven’t run you off! Thank you for ordering!!! You are awesome. I think, since I WROTE this book with my mom, I can confidently say this would be a fun book to READ with your mom. Liked your facebook page 🙂 Your baby boy is absolutley adorable! Love following you, your posts are down to earth and absolutley lovely! So glad we have connected Abby! Everything back at you. Wonderful blog. Glad you enjoyed your beach vacation! Thank you Miss Sherrie! You are a sweetie! I posted a comment and hit like on we laugh and cry. I love a positive thinker! Thank you Debbie! Going to your FaceBook to like , right after this message… We also enjoy that piece of paradise.. It is truly A very special place. we live about 40 minutes north of there. When we arrive it feels like we are a million miles away.. Your book sounds wonderful. I was with friends this weekend who have a house out there, and they told me that their daughter is doing Vegan, I was very interested.. I would love to have one of your books and to also share with her..
🎶. 🎵HAPPY BIRTHDAY🎵 JACKSON 🎶 My birthday is coming up too. You are so lucky to live so close. We are about 18 hours away…but I suppose it makes it all the more precious in some ways. What a coincidence that you were just with an islander who has a vegan daughter! Thanks so much for liking the facebook page and sharing it. Linda, isn’t some of your work up in Nana’s condo? I think I read a poem from you that was sitting on her dresser. What fun to connect. I know they love you too! I liked your post! I’ve loved all your beach pics Mimi has posted!! Thank you Amber! Jackson has a wonderful Mimi! I am new you your blog saw you on the Little gasparilla FB page.. I like you on FB now.. I have been going to the Island since I was 12 funny story..My aunt and I won a weeks stay in a cabin on the island in a tennis tournament back in the early 80s and we have been going down ever since..By far the best place in the world “no people” my little girl now is in love with the place..We are going in a week to stay before school starts and you could say we are a little jacked up about going…Happy Birthday to your little one..Enjoy because they grow up so fast.. Happy birthday Jackson..from misty and baby jack here in TN..hope it was fantastic! Awww thank you Misty and Baby Jack! Lindsey, I’m so glad to have found your blog through this. You write SO beautifully. WOW!! It all looks amazing! I LOVE to cook and I’m so glad I noticesd that you are a foodie too! Congrats on your success Rachel !! I would love to enter! Love the blog and all you guys do! And a very happy birthday to Jackson! We love you to Amy! Your dad and his work with the brain has had such an influence on our family. We just adore all of you. I like you too Kara! 😉 Thank you! 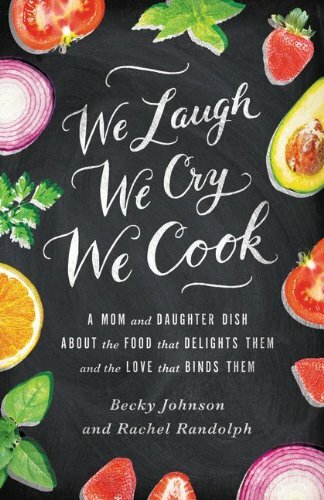 Love your blog, recipes delish, like your fb page, have already pre-ordered the book, but would love to win one to give away to one of the many people I’ve told to check out We Laugh, We Cry, We Cook!! You are the best Becky. So glad we’ve gotten to know each other this year. Now if only you didn’t live so far from me. Next time I’m in CO, let’s make it happen. I can’t believe he’s TWO! Cheers to double the fun, can’t wait till the book is out! I know. I bought big boy undies yesterday, and as I pulled them out of the washer I realized it was official. There is no baby in this house anymore! Happy birthday Jackson!! This mama of two likes your mama’s Facebook page! I hope you have a fantastic birthday and it us everything you’ve been hoping for! a very happy birthday, Jackson, i can’t imagine the birthday dinners in your future! tell your mom and grandma i love their writing, their recipes and their facebook page. I entered the Give away. I think it would be such an inspiration for me. I have four girls that it would be great to have. I just found your blog and I’m in love!! I also just liked your fb page so I can follow along. I just “liked” your page. I love seeing posts like this because to be honest if it wasn’t for a chance to win something (a.k.a. FREE) I wouldn’t have read your post. To take it a step further I wouldn’t have looked through some of the recipes and meal ideas. Who knew that healthy food could look and sound so yummy!? I am at wits end with my picky 3 and 5 year old and I refuse to make their diet chicken nuggets and macaroni & cheese time and time again. I am looking forward to trying your recipes! Excited to read the stories and try the recipes. I liked your facebook page (Amanda Dunn Jensen). Sounds like such a great book! Happy Birthday, Jackson! What a fun way to celebrate his birthday. I’m a FB fan (Carolyn Felix Purcell), and I can’t wait to read this book. I wonder how many copies I’ll end up buying to give away as gifts–two free copies sure would help! Happy birthday to Jackson, and a hug to my much-missed friend Becky! We will have more giveaways throughout August. We’ll keep this “Keep One, Give One” idea in mind! Love it. Oh we are blushing! Thank you so much for your confidence in the book! Hugs back to you. Would love to read your new cookbook. I love your style and wish you the best !! Happy 2nd Birthday, darling Jackson!! Your mom and Nonnie may not know it yet, but you’re only going to get more awesome this next year. And oh, how much fun you’ll have with them in the kitchen!! Happy birthday, Jackson! I would live to have your book. I’m currently working on a new website called concentricvegan.com. I hope to launch it within about 2 months. I have a page of vegan cookbook reviews and would love to be able to put a good review on my website. Way to go raising a vegan kid from the get go. I have four kids wjo are vegan at home, but since they were not always so, they tend to not make vegan choices away from home. Congratulations on your book. Your recipes have given me lots of healthy dinner ideas I would not have tried before! Keep dishin’ ladies! I love all your healthy dinner ideas. Congratulations on the book! Can’t wait to read it. I liked the FB page. I would love to read your book. Please enter my name in the contest. Keeping my fingers crossed. I liked your facebook,,so wanting to win your book. We laughed and cried alot these bast six months.